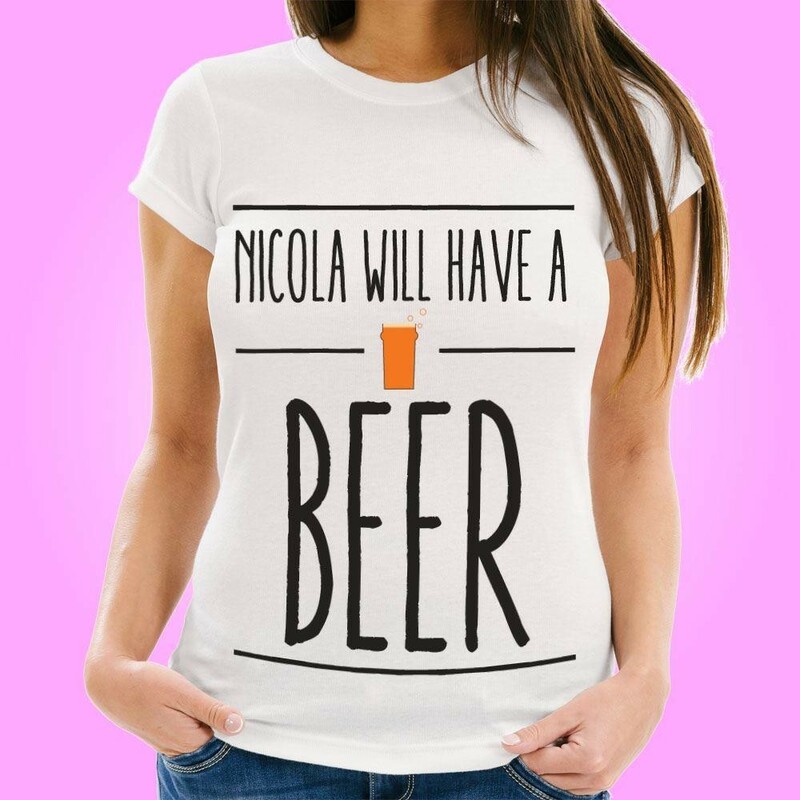 Chill out with a nice cold pint in the summer, and make sure they keep on coming with this personalised t-shirt. 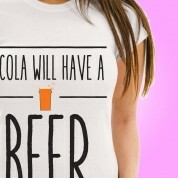 Perfect for all beer lovers, it will feature their name at the top of the design and is followed by the text “will have a beer”. 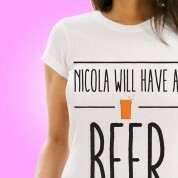 The cute pint graphic adds an extra fun touch to the design. 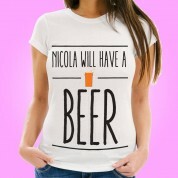 Ideal for wearing on a birthday night out or a trip down the local pub. You'll never need to be asked for your order again! All our designs are printed on high quality heavy cotton t-shirts.